To celebrate World Emoji Day on July 17 Apple has today offered a first look at the iOS emojis for 2018. We spoke to Apple VP of User Interface Design Alan Dye about the new emoji updates and when we can expect them. 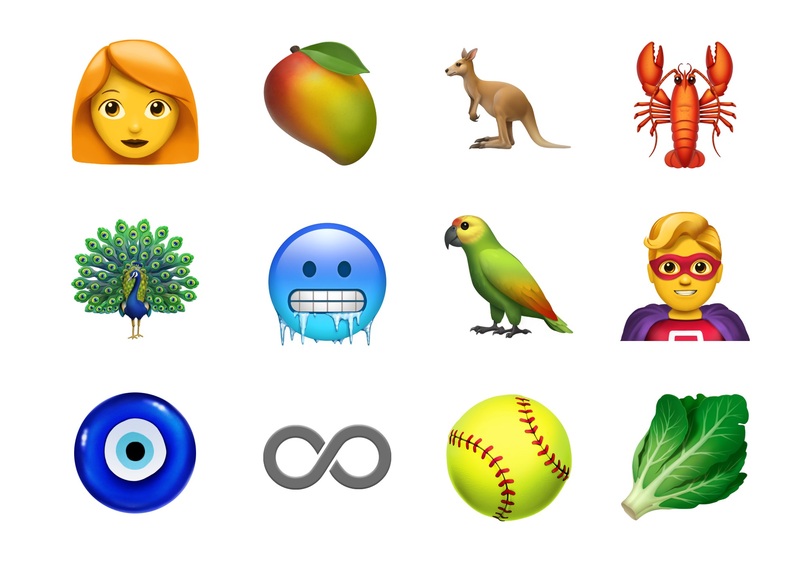 Popular additions coming soon to iOS include redheads, a mango, kangaroo and lobster. 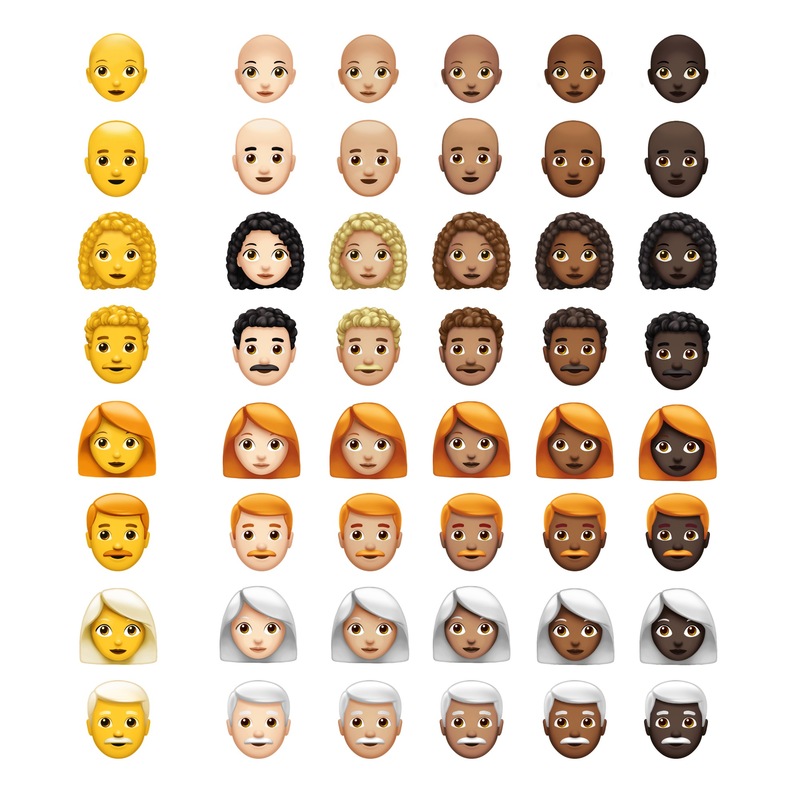 Billing the update as over 70 new emojis, the total number should total closer to 150 additions when gender and skin tones are taken into account. Above: “Over 70” new emojis are coming to iOS later this year. Images: Apple / Emojipedia composite. Of the new smiley faces on the way, one in particular seems a likely crowd-favorite and that is the Smiling Face With Smiling Eyes and Three Hearts. This joins Partying Face, Pleading Face, and Cold Face among the new smileys previewed today. Other new smileys added as part of Emoji 11.0 but not previewed today include Hot Face and Woozy Face. These are likely to arrive in the same update as the designs previewed here. Above: New smileys coming to iOS this year. Image: Apple / Emojipedia composite. Apple emoji designs tend to be the most visible and well-known compared to other platforms which is likely due to the broad support for iOS updates across Apple's lineup, as well as earlier support for color emoji than other operating systems. Above: New redheaded emoji options coming to iOS. Image: Apple / Emojipedia composite. One of Emojipedia's most frequent requests from users is that vendors like Apple add emojis for black families. Are families with more diverse skin tones in the future for Apple? Asked about this, Dye notes that the team “talk about it all the time” but consider it a challenge to come up with an appropriate interface. Calling out the user-interface as one of the main concerns: “I just think that you need a UI that can accommodate the variations”. In the meantime, new diverse options on the way include people with curly hair, gray (or white) hair, no hair (bald), as well as the aforementioned redheads. Above: New diverse emoji options coming to iOS in 2018. Image: Apple. What else is on the way this year? A test tube emoji, ball of yarn, cupcake, and leafy-green vegetable have all been shown in Apple's World Emoji Day preview. 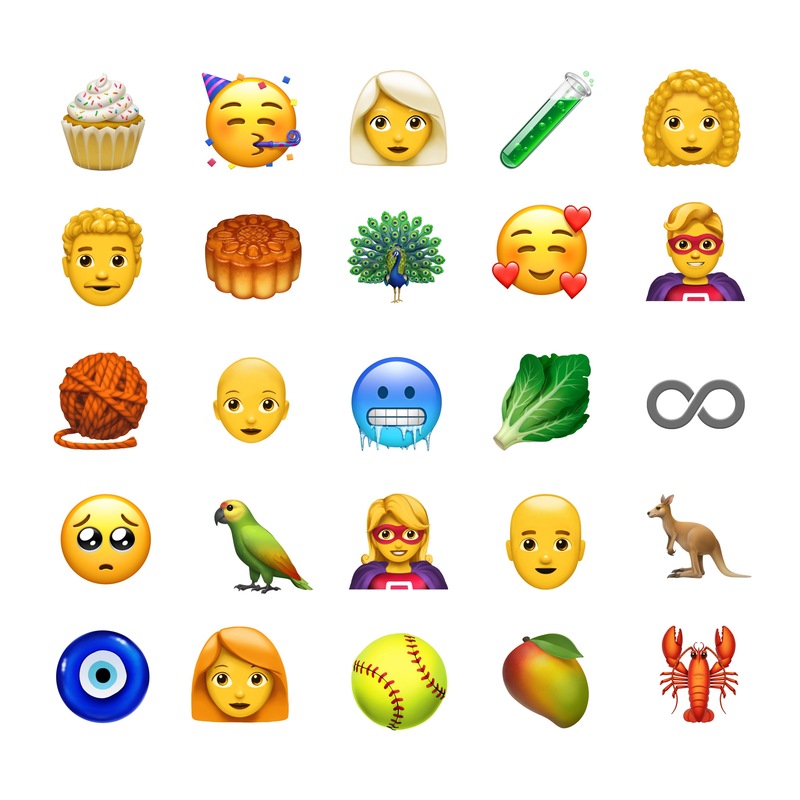 These will likely join the llama, raccoon, hiking boot and broom - all of which are included in Emoji 11.0. Apple has confirmed new emoji support coming to iOS “later this year”. In past years, emoji additions have generally been released in an update that follows the major iOS version of the year. For instance, iOS 11.1 was the update to include new emojis in 2017, released in late October. Expect to see these new updates either in iOS 12 or a release such as iOS 12.1 or iOS 12.2 to follow it, later in 2018. Above: All of the new hair choices coming to the iOS emoji keyboard in 2018. Images: Apple / Emojipedia composite.